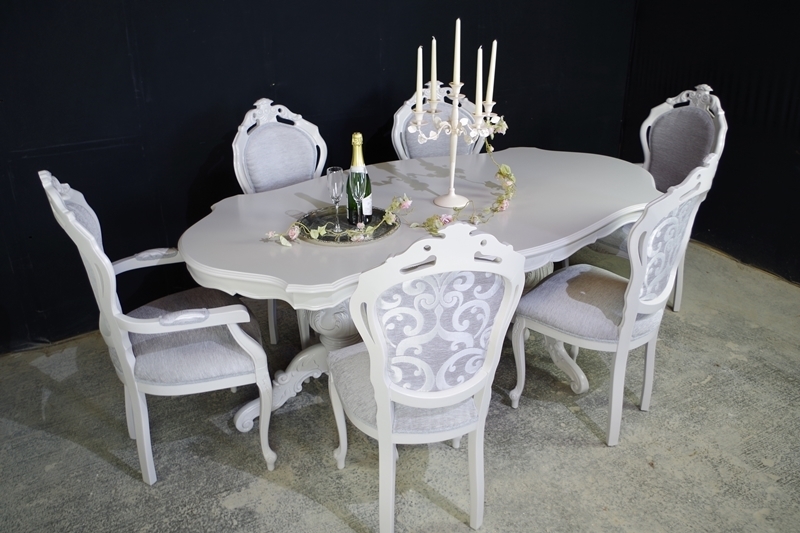 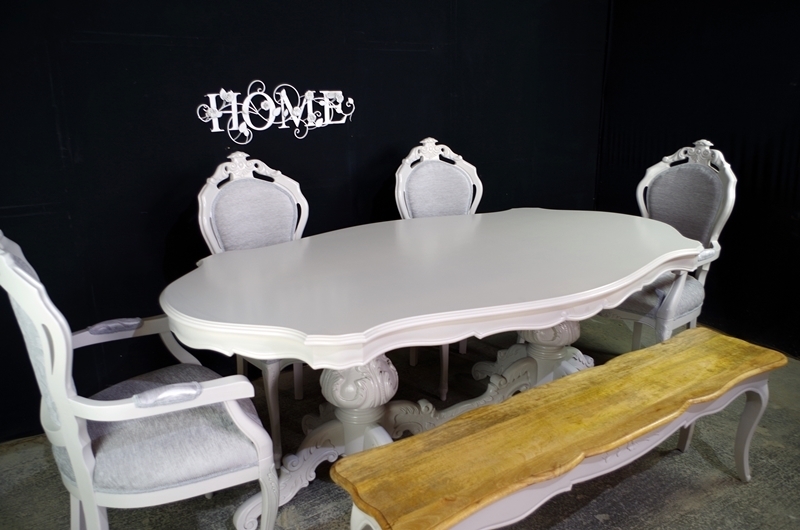 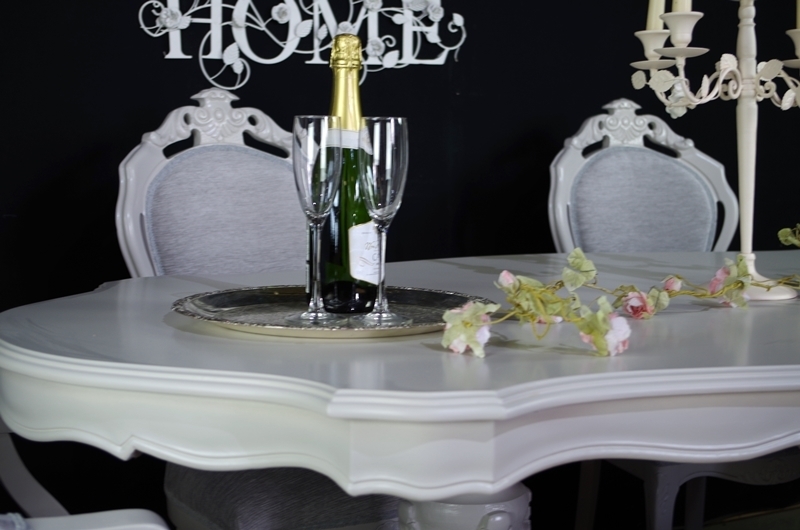 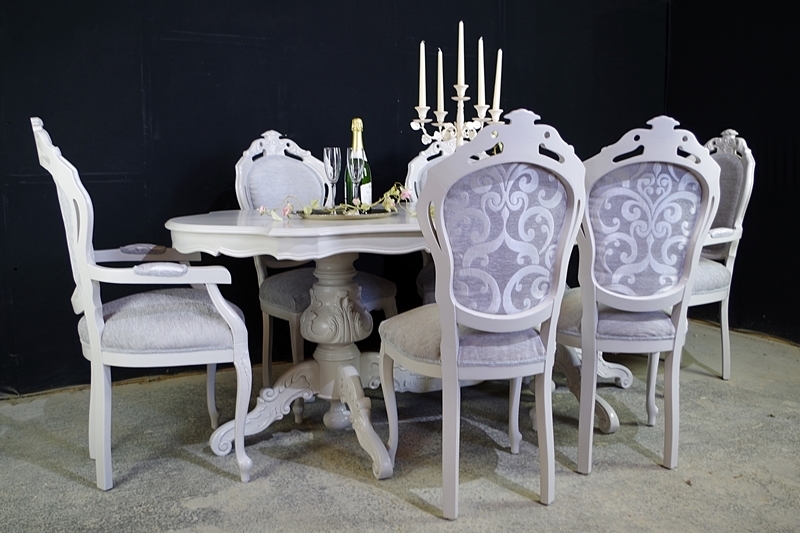 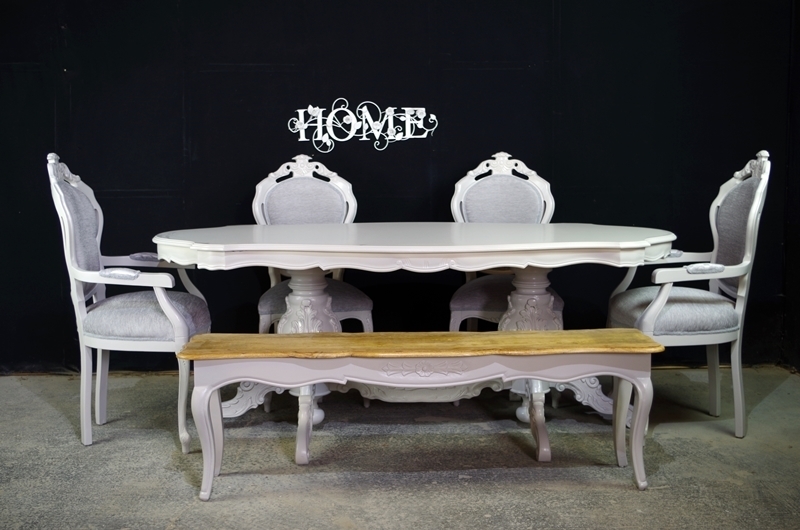 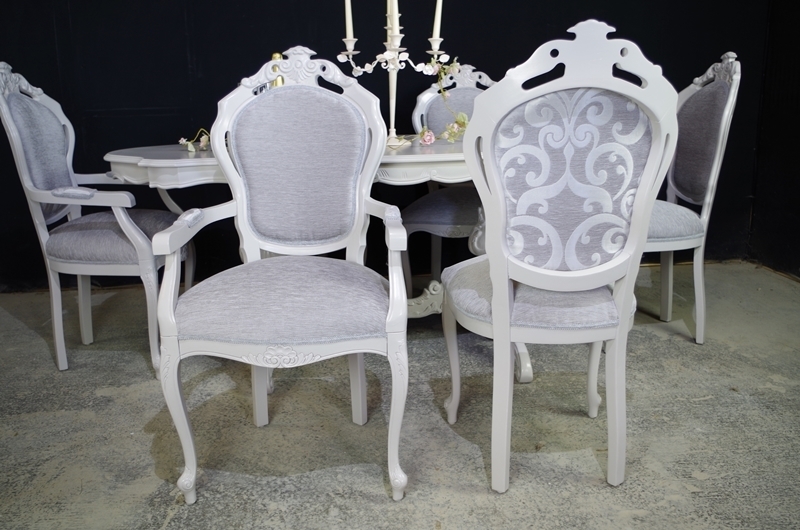 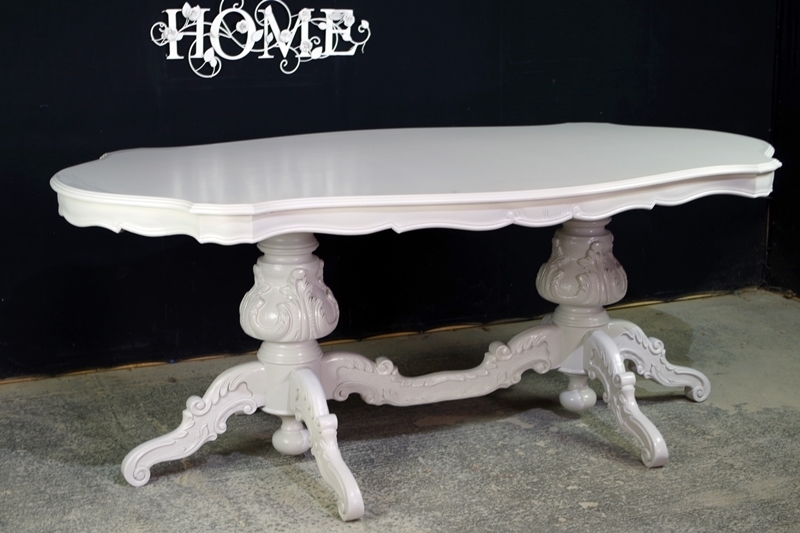 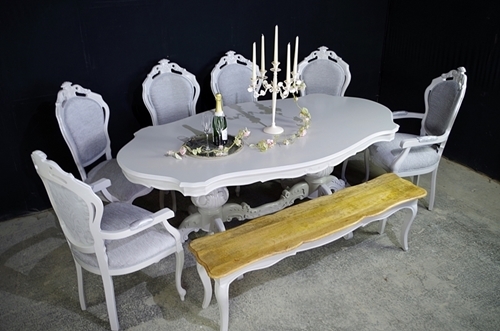 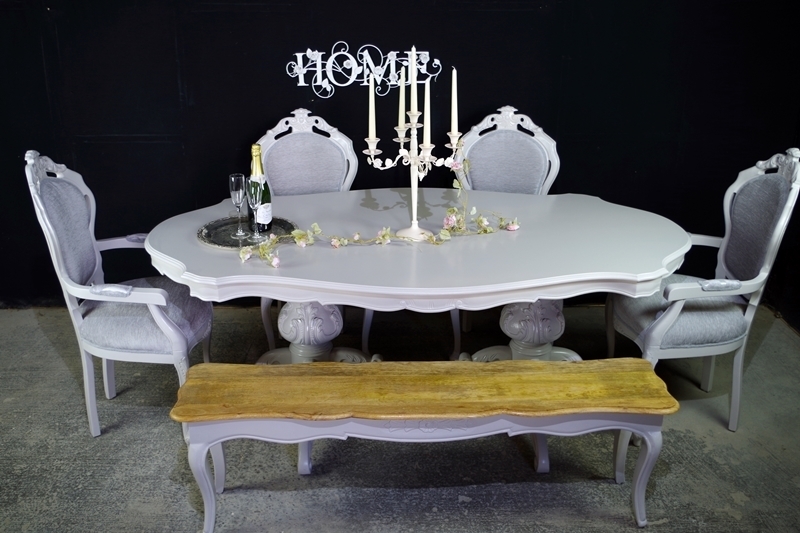 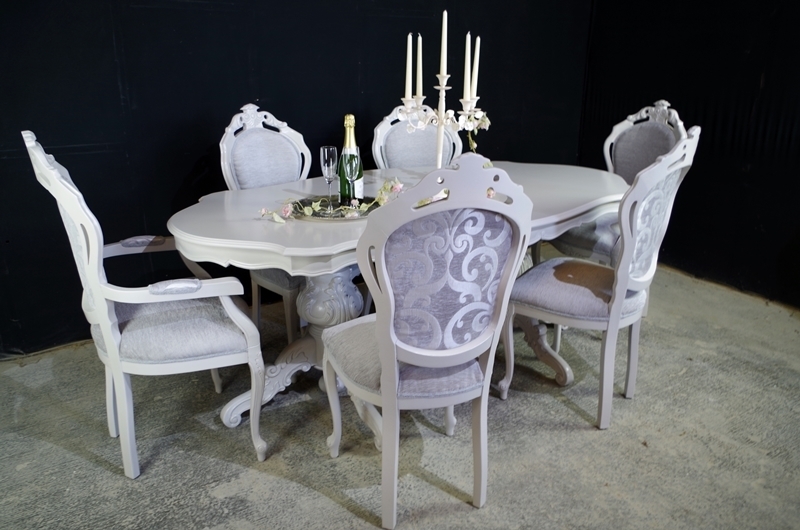 An Italian twin pedestal shaped-top table matched with 6 Louis-style dining chairs and a bench. 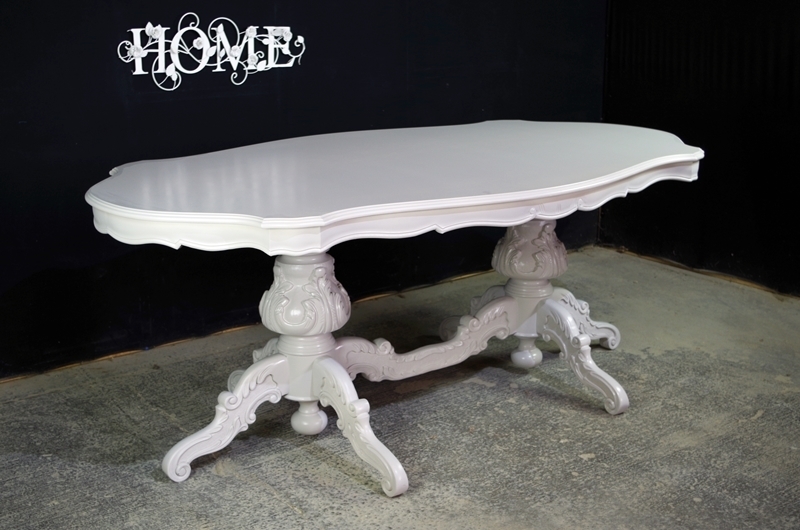 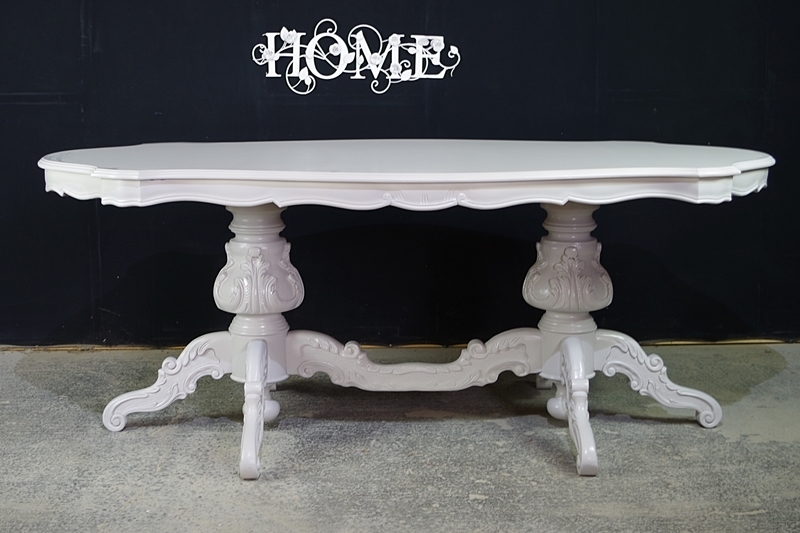 The table pedestals and stretcher have carved detail; each pedestal also features a 'hanging' turned ball feature underneath. 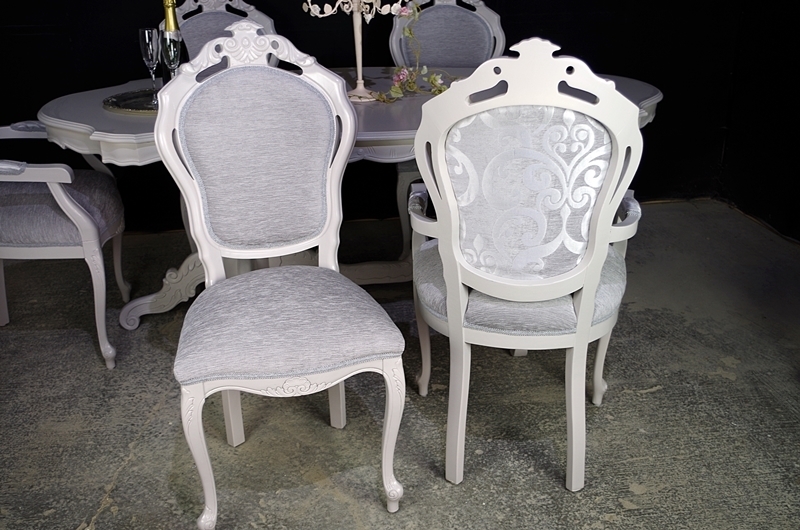 We re-upholstered the chairs in a soft grey velvet fabric with a contrasting pattern grey on the backrests to create a classic French style. 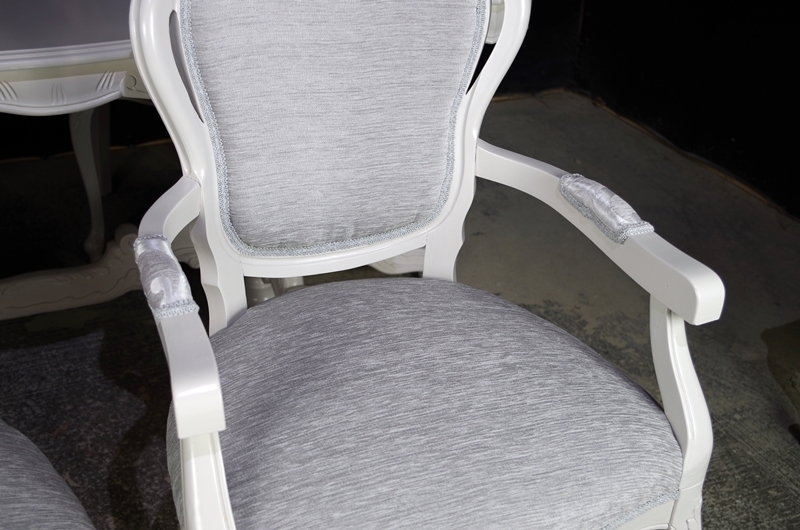 The fabric has been stain guard protected. 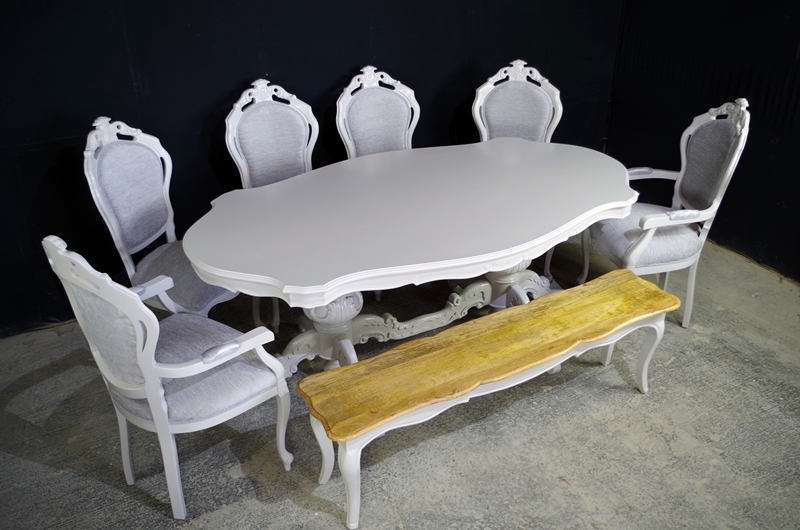 The sizes shown are for the table.